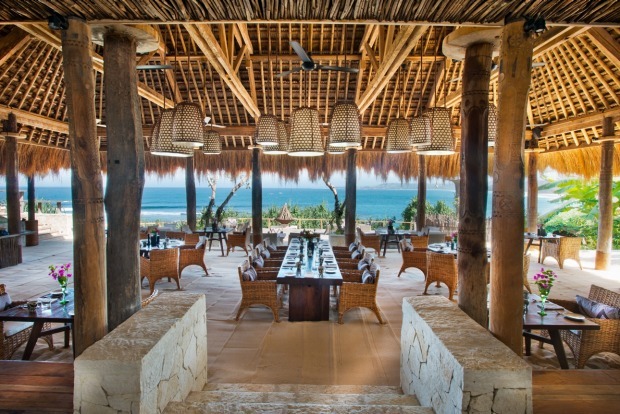 Nihiwatu resort, Sumba Island, Indonesia. 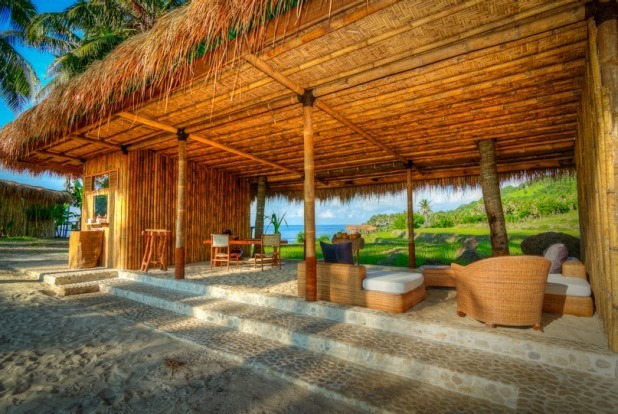 The Nihiwatu resort on Sumba Island, Indionesia. The Ombak restaurant at the Nihiwatu resort. 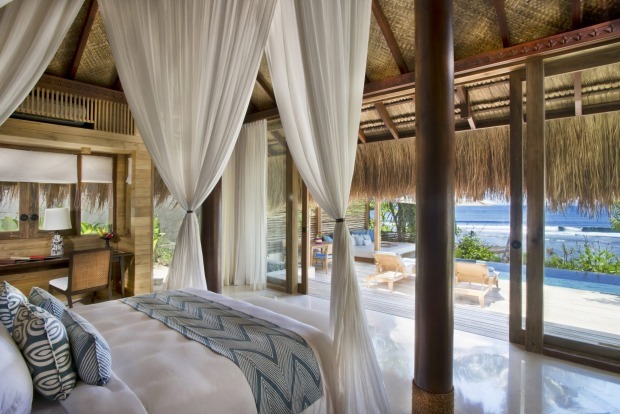 A bedroom with a pool view at the Nihiwatu resort. 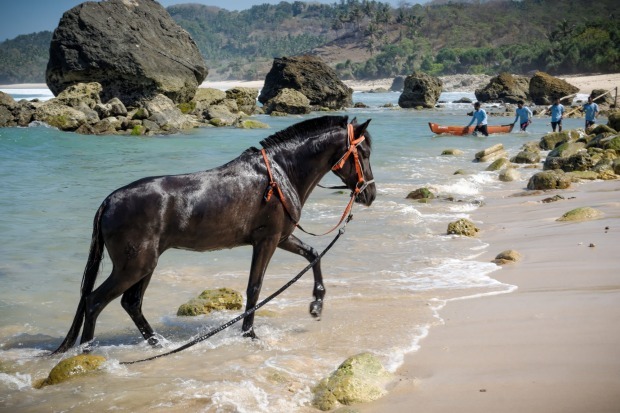 A horse on shore at Nihiwatu. God's Wave breaks off the beach at Nihiwatu. 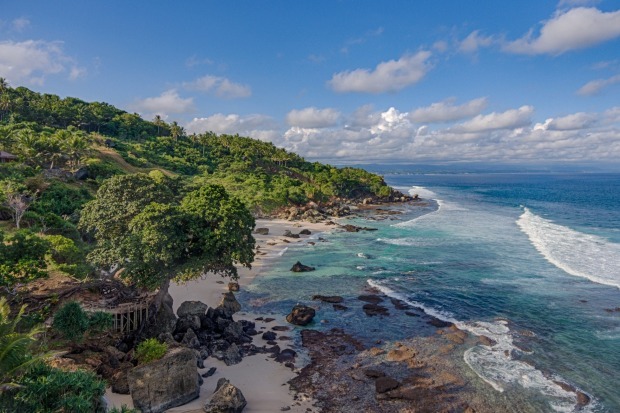 The world's best hotel isn't in London or New York but on a little known island in Indonesia, known as the lost world island. 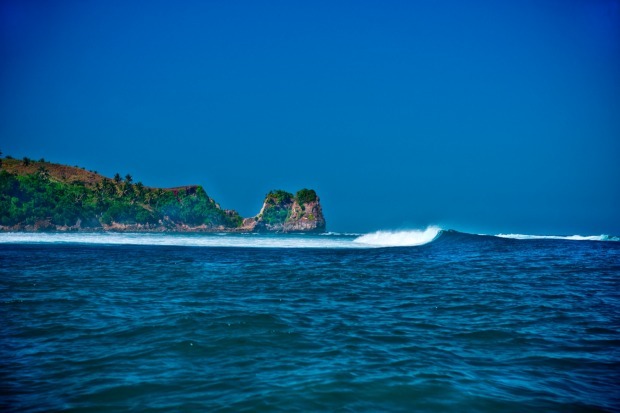 Remote and completely off the grid, Nihiwatu was formerly a surf lodge until it was bought by self-made fashion billionaire Chris Burch in partnership with hotelier James McBride four years ago and transformed into a culturally immersive enclave of active adventure and serious indulgence. 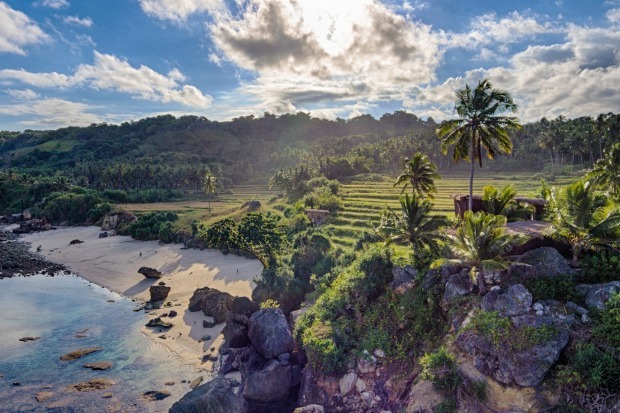 Three hundred kilometres east of Bali in the Lesser Sundra Islands, Nihiwatu is the only resort on Sumba Island where the population of 650,000 still live a traditional life and practice their own distinct tribal rituals. Few people I spoke to before visiting Nihiwatu had even heard of Sumba, aside from surfers, whose eyes instantly widen in recognition. 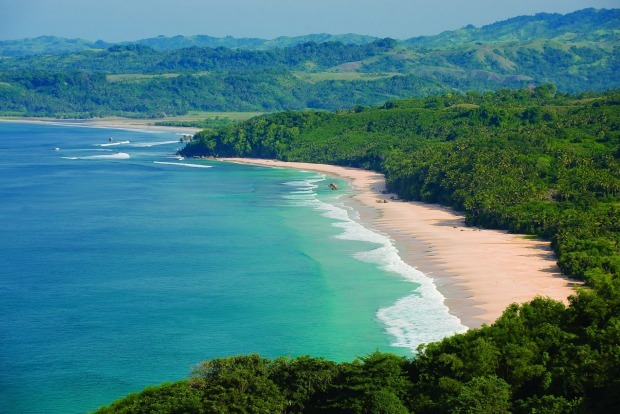 Sumba's pristine coastline is home to one of the world's best left-hand breaks, with swells of up to four metres. 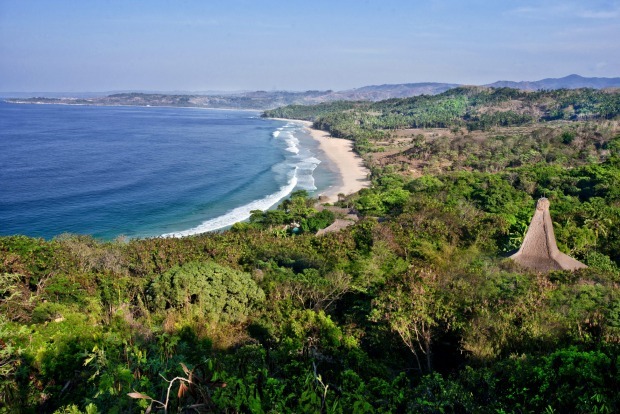 "It's unbelievable," my neighbour told me, recalling a surfing trip he took to Sumba by boat. "We spent entire days surfing these long waves, with no one else around." Which makes Nihiwatu's coveted win as the world's best hotel as voted by Travel + Leisure readers globally, just that much more staggering. 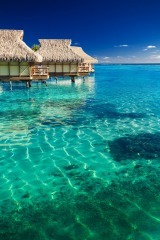 Because most guests, including ourselves, are not surfers. In fact, when we visited earlier this year there were only three guests that were actually there to surf, including a lawyer from Sydney and his family on their second visit. 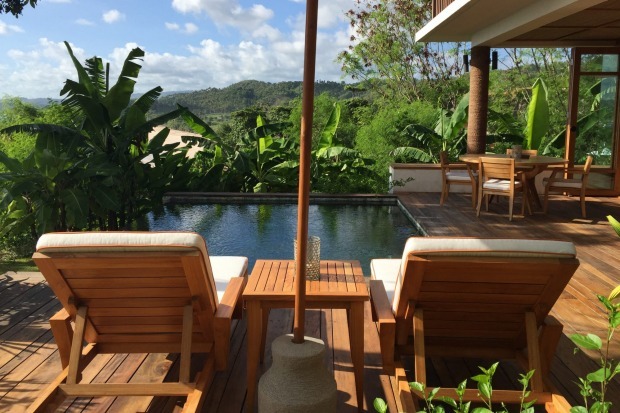 Resort owner Chris Burch said T+L's recognition acknowledges the changing travel habits of today's consumer who seeks a new type of luxury. 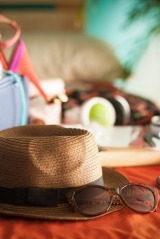 "Hospitality-centric luxury has changed," said Burch. "It is more than just the finer touches. 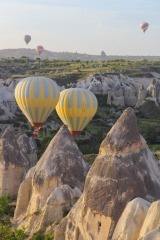 It has evolved to a custom itinerary, a personal journey, unexpected experiences, and a curiosity for the unknown. 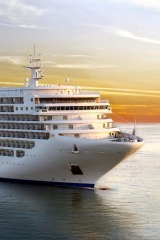 We have been extremely fortunate to exceed everything we set out to deliver with the Nihiwatu concept." 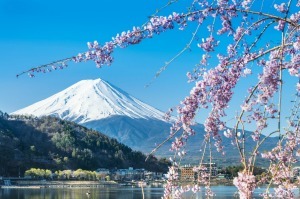 So what exactly can you expect when you check into the world's best hotel? 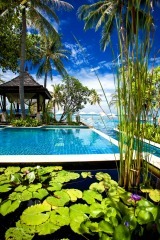 Firstly, despite its hard to get to location, every conceivable luxury is found once you step inside the resort confines. 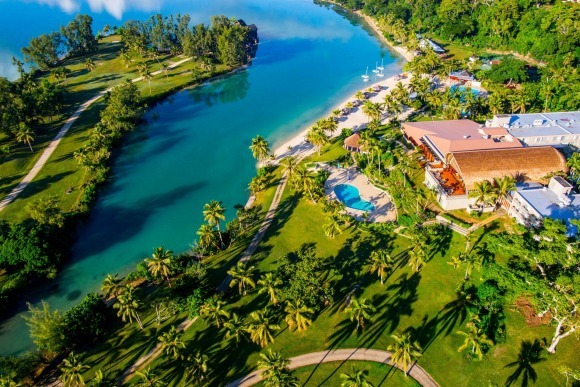 There are 28 decadent pool villas, a treetop spa, a professional equestrian centre, and private access to world-class surfing and experiences. 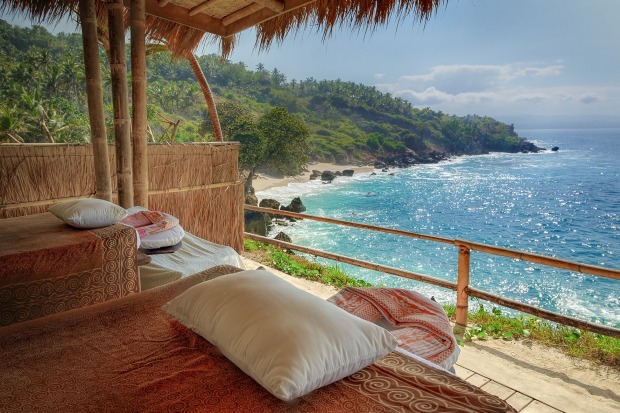 Most recently Nihiwatu has opened a whimsical three-bedroom Mamole Tree House built on stilts overlooking the Indian Ocean. 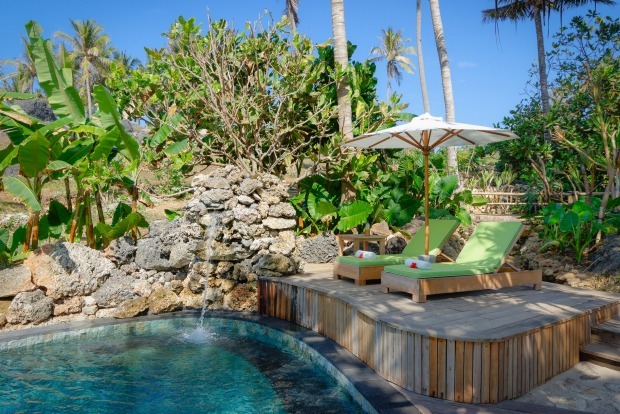 The Nio Beach Club also opened this year with a lap pool perched on Nihiwatu Beach, while Chris and Charly's chocolate factory has started production onsite. 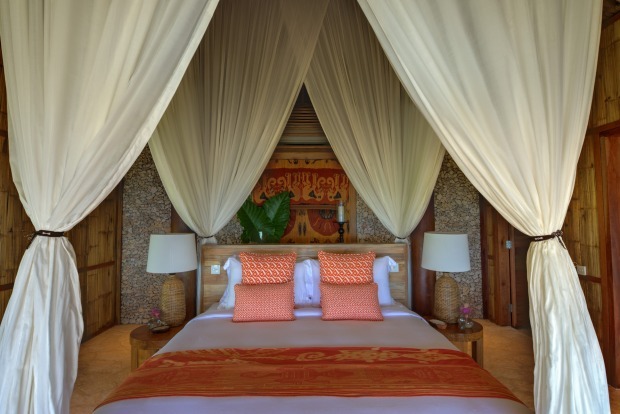 The feel is more luxury safari lodge than world-class beach resort, and at Nihiwatu it's all about you. 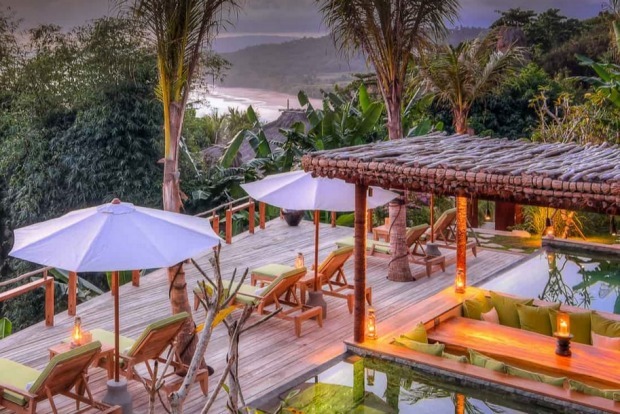 On check-in we are given the choice of two villas in the Raja Mendaka complex, Chris Burch's own estate, with its plum position overlooking the famous Nihiwatu coastline. We end up in a two storey, one-bedroom villa at the top of the estate designed to reflect a traditional Sumbanese House with ikat accents. 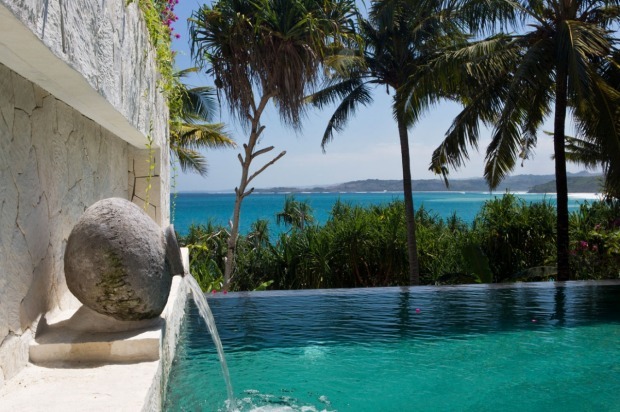 Our villa comes with a view of Nihiwatu's 2.5km sweep of beach that I never tire of, a private infinity pool, and separate study where our eight-year-old slept under romantic (and practical) mosquito netting. Upstairs, the 46-metre-square bedroom opened to a platform among the trees with a bathroom complete with outdoor jungle shower. Fronting the coastline was a separate deck with brass outdoor bathtub. 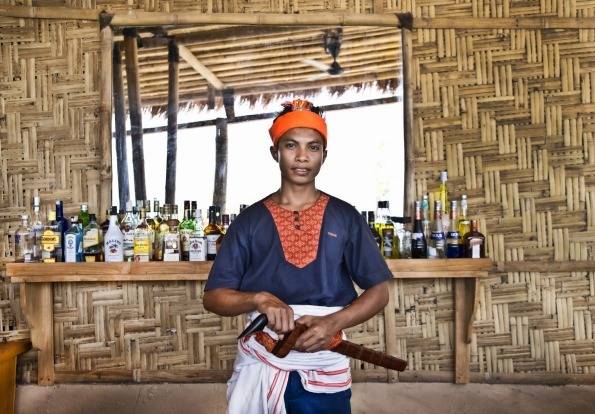 Every guest is assigned their own Sumbanese butler, and looking after us was Arafin, smartly dressed in traditional attire, and armed with a winning smile. During our six days at Nihiwatu, we experience the best the five star philaphrothic resort has to offer: superb dining by Australian executive chef Ben McCrae at its three restaurants, a day spent at Nihi Oka, Nihiwatu's private beach club (which also offers a full day Spa Safari), sunset horse rides and pony club for our daughter where she got to help groom the indigenous horses, morning yoga and days spent at Coconut Cove, mojito in hand, admiring the surfers on "Occy's Left", one of the world's most exclusive waves. Only ten surfers at a time are allowed to surf Nihi's premier wave, also referred to as "God's Left" directly in front of the resort and charged at $US100 a day. Personally, the most rewarding experience was a day spent with Nihiwatu's Sumba Foundation where we visited one of the 15 local schools where the foundation feeds lunch to 1100 children twice a week. 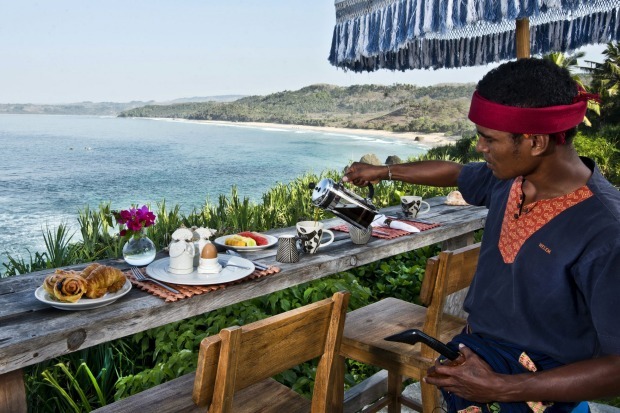 Nihiwatu's strong connection with the local people, who make up 90 per cent of the staff, is what sets the resort apart, said T+L in announcing the 2016 World's Best awards. I'll never forget the sight of my daughter helping dish up 300 eggs to the grateful, smiling faced local school children. Our last two nights are spent in Burch's own superlative five-bedroom villa so vast and sprawling we end up hunkering down in the pavilion containing the master bedroom. At the heart of the villa is a 19-metre infinity pool with an ice cold plunge pool (apparently Burch has the water cooled just to his liking). As we watch another mesmerising sunset, our butler Arafin rustles up a couple of G&T's as we plot our trip back – won over by Nihiwatu's magical, "on the edge of wildness" feel. 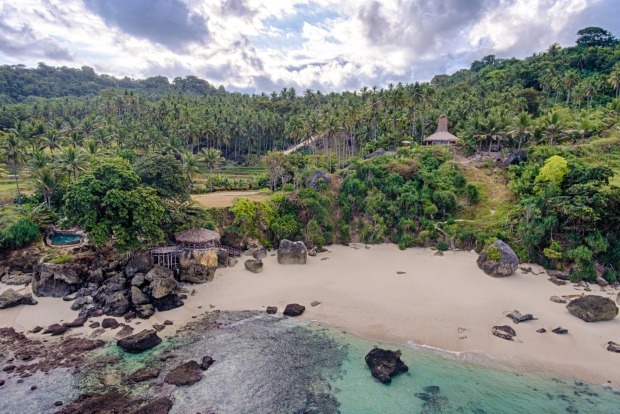 Sumba may be known now as the lost world island, but now Nihiwatu is basking in its world's number one hotel status, I'm afraid the secret's well and truly out. Sheriden Rhodes was a guest of Nihiwatu. 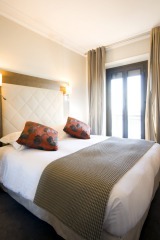 Rates start from $US900 plus 21 per cent tax in high season including all meals and airport transfers. Alcohol extra.